The weekend started early for the RNLI Torbay lifeboat volunteers. On Thursday evening at approximately 9:20pm, the Brixham Coastguard recieved a Mayday Relay call regarding a man who had apparently jumped off of Princess Pier Torquay and was seen swimming out to sea. A local yacht responded to the call and started a search. Meanwhile at 9:37pm the RNLI Torbay lifeboat was launched and arrived on scene some nine minutes later. By this time the thirty eight foot yacht had fortunately recovered the man from the water. The Lifeboat then transferred a doctor and two other crew members to the yacht to asscess the situation; an ambulance was called and the man was transferred to Torbay Hospital and was treated for the effects of hypothermia. 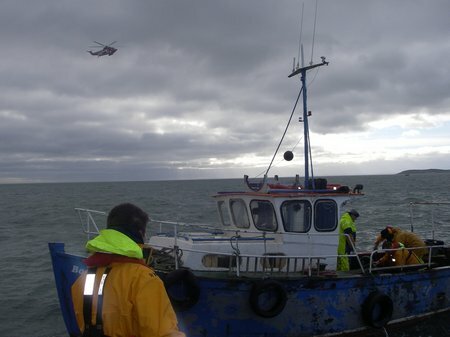 At approximately 11.30am on Wednesday 15 February Clogher Head RNLI responded to a distress call from a local fisherman about 1.5 miles out from Dunany Point. 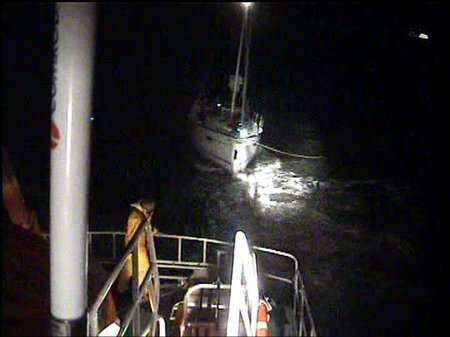 The 36ft wooden boat with two men on board was rapidly taking on water due to a mechanical failure and was at risk of sinking.